This piece was co-authored with Michael Zakkour. See below for bio. Aaron was on his way to what was perhaps the most important presentation of his life: a presentation to Chinese investors about luxury New York City apartments he’s been developing on the Lower East Side. Aaron had been a successful real estate developer in New York for years, but recently was feeling challenged finding clients to pay top dollar for his inventory. After reading up on wealthy Chinese investing overseas, he decided to make a play in China. He had the goods — two beautiful new luxury buildings — and all he needed now was to interest the newly affluent in China to buy a piece of the Big Apple. For the last three months, Aaron took his well-tested and highly successful marketing approach and tweaked it for the Chinese market. He hired an American who spoke fluent Mandarin on a part-time basis to call businesses and high-net-worth individuals. He booked a top-rate hall in Shanghai to host the event. He hired the best catering company for food, drink, and decorations, and finally, he blanketed the local media. He promoted it from all angles: the New York angle, the experienced developer angle, and most importantly, the “value” angle — how right now was the prime time to invest in the New York market and how his hot new property would provide the buyer with financial upside and “face.” Aaron was so sure that he had hit a home run that on the day of the event he ordered 50 more platters from the catering company — just to make sure. But when his limo rolled up to the door, Aaron could not have been more shocked. Not only was the hall not full to capacity, as he was expecting, but there were only eight people there, and all of them looked quite young. He looked at his watch, but the time was correct. As Aaron made frantic calls to his publicist, he wondered: What could have gone wrong? As it turns out, a great deal! The first mistake Aaron made was thinking that his American best practices would translate across cultures, which is certainly not true given China’s significantly different socio-business culture, historical framework, and language. From Aaron’s perspective, it made sense to make this event open to all comers. He was playing the odds, and he might as well put as many feelers out there as possible, right? Wrong — at least in China, where, ironically, the wider the net cast, the less likely to land a big fish. To interest people in China — especially the nouveau riche — you need exclusivity. You need to give them the sense that they have been singled out for a special opportunity that signifies status for them in the very hierarchically oriented Chinese society. As a result, Aaron inadvertently cheapened his brand — and undermined his effectiveness. But that wasn’t the only blunder he made. Another was to assume that simply “making the business case” was the way to a Chinese investor’s heart. In China, you clearly need to have a business case to succeed, but here’s the key: No one will listen to your business case unless it comes from a trusted, credible source, which is typically cultivated over a long period of time. Chinese consumers are no dummies: They want to do business with companies with a tangible, permanent presence on the ground — not fly-by-night companies that are sometimes referred to as “seagulls,” who fly into to China, drop nonsense everywhere, and go home without having built a nest. In China, you need to take the time to invest in relationships so that your trusted personal connections can then ultimately help endorse and legitimize you, your business, and your event. Without such contacts, your plan is likely doomed to fail. Although this particular case is about China, translating best practices across cultures is a recurring challenge for businesses around the world. What can companies do to increase their chances of success? The first thing they can do is carefully evaluate whether their existing best practices need a tweak or a major reframe. A tweak is a very minor adjustment that doesn’t change the essence of what you do, but instead changes the way you go about it, such as translating materials into a different language or altering some other superficial aspect of the process. For instance, if you are an apparel brand whose marketing success depends on using famous movie stars to sell your clothes in the U.S., you can tweak your strategy by using famous Brazilian, Indian, or Chinese movie stars in those markets. Tweaks are great because they require little effort and you can be well on your way to making the transfer into a foreign setting. However, in many cases, tweaks are not enough; they only skim the surface of the much deeper challenges that you face. 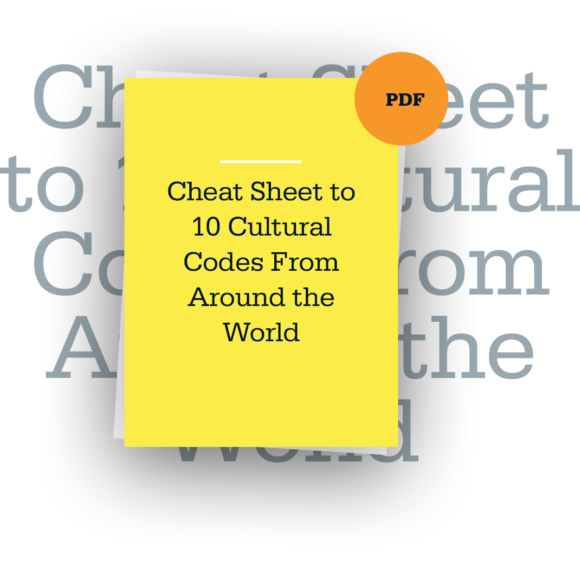 In these cases, you need a reframe: a major reorientation in your strategy based on very different cultural values, beliefs, and mentality of a foreign marketplace. The case of Amway in China, for example, is a classic situation where a reframe, rather than a tweak, was essential for transferring of business practices cross-culturally. In this case, the company had to develop an entirely new way of selling products when their traditional method of direct selling butted up against official, legal, and cultural obstacles and a 1998 ban on direct MLM selling. Aaron’s case above was similar: He clearly tweaked when he should have reframed — and that decision, in part, led to his downfall. So how can you make this critical decision for your business? Find a “cultural connector” — someone who is knowledgeable about your industry and your company, who also possesses the critical skill of “global dexterity,” the ability to adapt behavior across the two cultural settings and diagnose the degree of adjustment necessary for success. This person can be an outside expert, consultant, or even someone internal to the company. But the key is that he or she must have the cultural insight to determine the degree of adjustment necessary and the professional savvy to actually put a successful plan into place. For Aaron, he only went halfway toward cultivating a cultural connector; his part-time American employee who spoke Mandarin lacked the sophisticated understanding of the Chinese consumer culture and the networks to make Aaron’s plan succeed. No one ever said transferring best practices across cultures is easy. But with ingenuity, patience, commitment, and the help of a cultural connector, you can make it happen. You can leverage the opportunity of globalization without falling prey to its inherent challenges. Andy Molinsky is a Professor of International Management and Organizational Behavior at the Brandeis International Business School. He is the author of GLOBAL DEXTERITY (HBR Press, 2013) and REACH: A New Strategy to Help You Step Outside Your Comfort Zone, Rise to the Challenge, and Build Confidence (Penguin, forthcoming – early 2017). Follow Andy on twitter at @andymolinsky. Michael Zakkour is a Principal, China-APAC Group, at Tompkins Intl., a global consulting firm. He has advised more than 250 MNC and SME companies on their China entry and growth strategies and implementation. He’s the author of China’s Super Consumers: What 1 Billion Customers Want and How to Sell it to Them. Follow Michael on twitter at @michaelzakkour. “Finally,” you think to yourself as you board the plane to London for a series of business meetings with the British subsidiary of your American corporation. I’ve recently been fixated on a fantastic radio podcast about young entrepreneurs in New York and Silicon Valley called “Start Up,” which tells the tale of going from nothing to building a company from scratch. As Helen walked up the stairs and towards Dean Johnston’s office, she realized she had probably walked up these same stairs a thousand times – though never for a reason like this.